By Jeanine Poggi . Published on October 24, 2018. 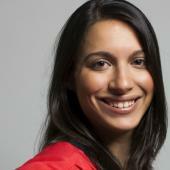 Journalist Simone Boyce as seen on NBC News Signal. 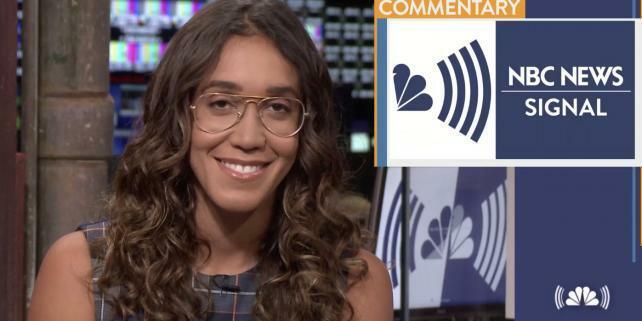 NBC News today announced its free streaming channel, NBC News Signal, aimed at younger viewers who have unsubscribed from traditional TV bundles or never had a cable or satellite package to begin with. The network debuts this week with no commercials, but NBC News plans to incorporate advertising later this year. Signal will launch with some original programming with the goal of becoming a 24-7 network in mid-2019. Slated shows include an evening program hosted by Simone Boyce that will air Monday through Friday at 7 p.m. ET starting later this quarter, and leading into the midterms, Steve Kornacki's "218: Race for the House," which will air daily at 12 p.m. ET. On Election Day, Katy Tur will host a pre-show on the network. Additional daily programming, including morning and afternoon shows, and hourly news updates called "Briefly's," will launch later this quarter and early next year. Signal is currently available on NBCNews.com, in the NBC News mobile and over-the-top apps, on Pluto TV and through YouTube and Twitter. NBC News has dedicated 10 full-time staffers to the project. Signal joins a growing pool of streaming news content. CBS News has its free, live-streaming channel, CBSN; ABC News recently launched a stream on Roku; and Fox News will debut its Fox Nation subscription service later this fall.